Olil came back last weekend for another great clinic. It was all private lessons and that was 10 of us riding. We all learned a lot from her again this year. She promised to come back next year and if you are interested in participate in the next clinic keep checking our event calendar for dates. I have added some photos from the Olil clinic to the photo albums. Dynjandi and Ásta on the cover of Issue Four 2009 of the Quarterly. 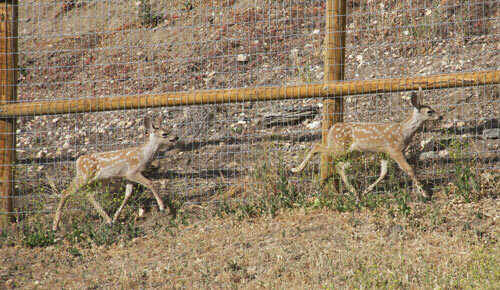 This past weekend we hosted another CIA Open at our ranch and it was a small show but very successful. We had over 20 horse and rider combinations and over 30 people came to the pre show BBQ on Friday night. Rune came from Norway to be our judge. It was a real international show, we had riders from Germany, Sweden, Iceland and the US participating. Very fun weekend. Of course there are many people to thank including Doug and Gayle, Willy Ma, Heather and everyone for coming to partake in our show. I rode Dynjandi in Open Tolt and Fourgait, Grásteinn one of our sales horses in Pleasure fourgait and Dynur in the 100 m pace race. 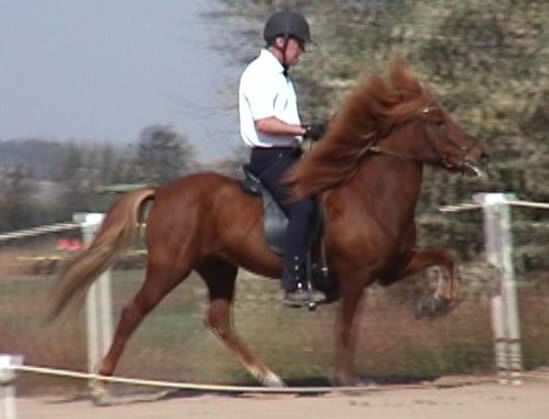 Will rode Perla, one of our sales horses in Fivegait and 100 m pace race. 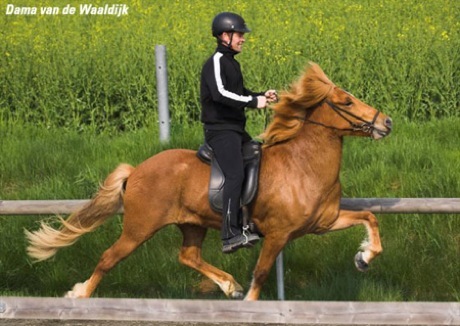 Jenny rode Þór in Fivegait and Pace Race and Lokkur one of our horses in training in Pleasure Fourgait. Our students did very well. 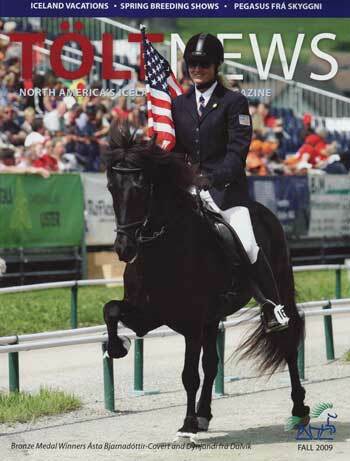 Rachel rode Kaliber in her first show and won the youth Tolt with a score of 7.3. She also borrowed Þór and rode in for the first time in Open Class and place second in T3 and V2. 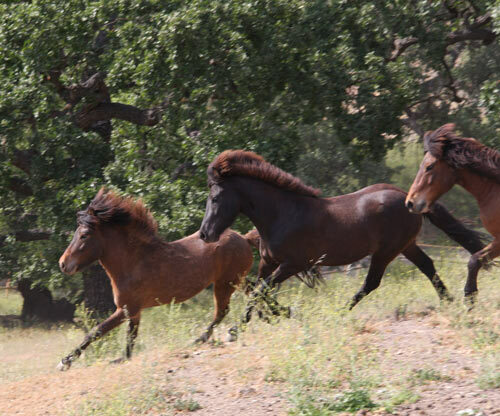 Cait borrowed Kani and they won Youth fourgait and were second in Youth Tolt after Rachel and Kaliber. Lucy and Andri did really well in the open and scored over 7.0 in both Open group Tolt and Fourgait. Eileen rode Drift in Pleasure Tolt and Novice Tolt and won both classes. Christina rode her Hrafnson Hroftur in Open for the first time and they did very well and scored 6.3 in the fourgait final. 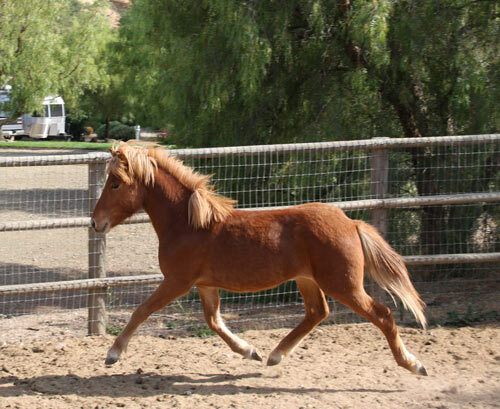 Sara had a great time at her first show with her young mare Melrós. Steffi flew with Rune from Germany and borrowed Dreyri. She had a great time riding him in her first US show. Overall a very successful and fun show. Dynjandi and Ásta on the cover of the Fall 2009 issue of the TöltNews. 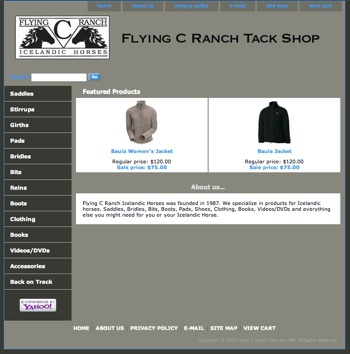 Some new Sales horses have been added. Back from the World Championships in Switzerland..
We are back home after two weeks at the World Championships in Switzerland. We had a great time and Dynjandi did very well at his first World Championships and made 2 finals and was 0.06 from gold in Fourgait combination. Húni and Dynjandi flew together from LAX to Luxembourg along with out team leader Doug Smith and they met up with 3 other US horses that flew in from NY. 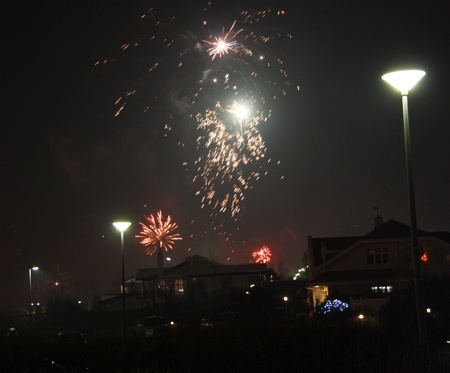 We stayed at a farm not too far away from the WC showgrounds for two days. 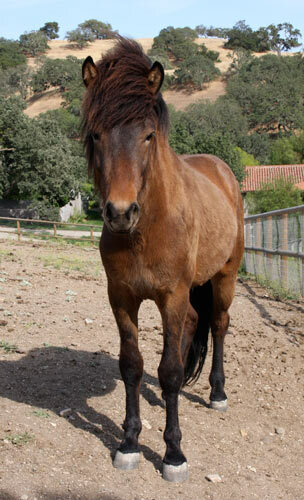 Húni got an absess and passed his vet check the day of the dicipline and Anne-Marie and him did very well considering. 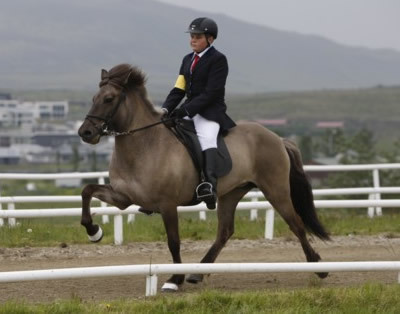 Freyþór frá Hvoli was in A-Finals in Fivegait at the Icelandic Championships this weekend. He scored 7.03 and tied for 4th place in the preliminary rounds and ended in 7th place with an overall score of 7.33. Freyþór is born 2000 and is a son of Þór frá Prestsbakka and Freyja frá Kvíarhóli. 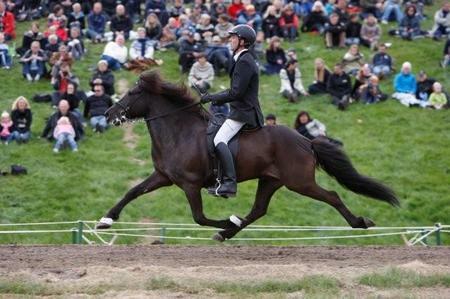 He was ridden by Þorvaldur Árni Þorvaldsson who also trained Þór in Iceland before he came to the US. 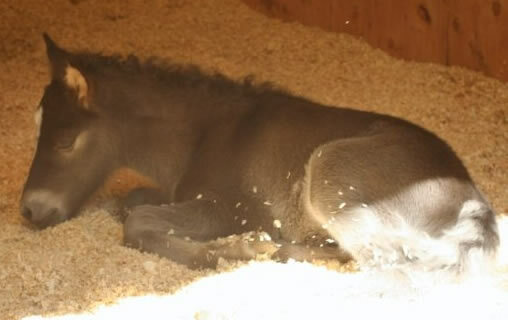 Óskin frá Feti had a bay filly by Glymur frá Árgerði last week in Iceland. 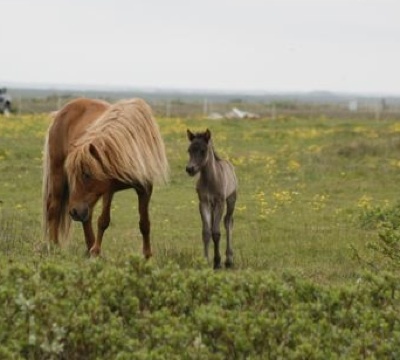 Fjöður frá Ási 1 had a black colt last week by Auður frá Lundum. Brynja frá Bakkakoti daughter of Þór frá Prestsbakka and Smella frá Bakkakoti became an Icelandic Champion in children's class Tölt (T1) in Iceland last weekend. 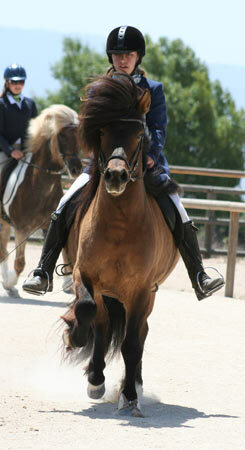 She is a first prize mare with 9.0 for Tölt. 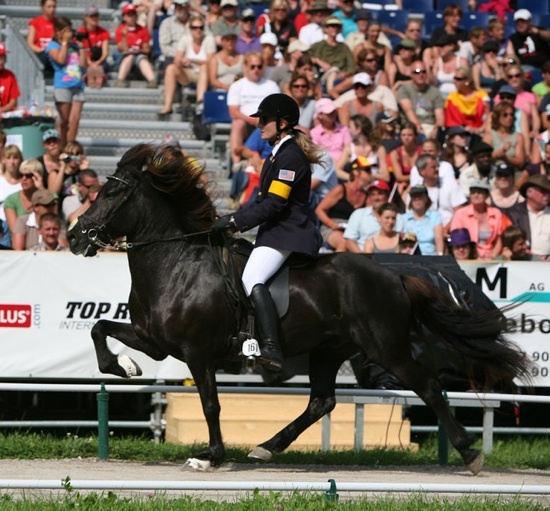 Brynja is only 6 years old and her rider Róbert Bergmann is only 12 years old, he is the son of the owner and breeder of Brynja. They were 8th place in the preliminary rounds in Tölt and won the B-Finals and therefore the right to compete in the A-Finals. Then they won the A-Finals also with a overall score of 7.22! 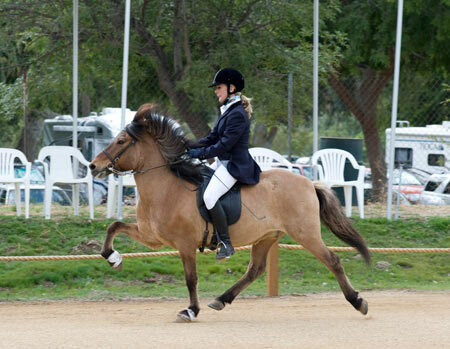 They were also 7th place in the Children's class fourgait (V1). Very promising pair that will be fun to watch in the future. Will traveled to Switzerland in April to attend the seminar for the Judges judging at this years World Championships. They went to the WC site and met with Roger and Silke who are one of the organizers of the championships. 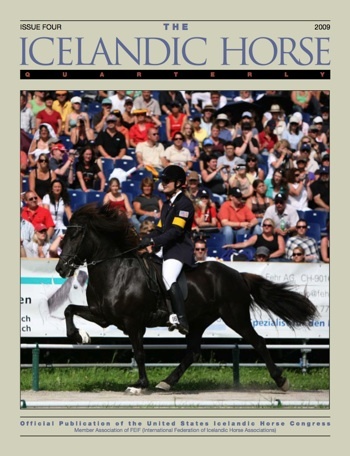 For more info on the World Championships go to www.icelandichorses2009.ch and check out Susan Peters travel tips to Brunnadern at www.icelandics.org/wc2009.php. We hope many of you come and support the US Team. 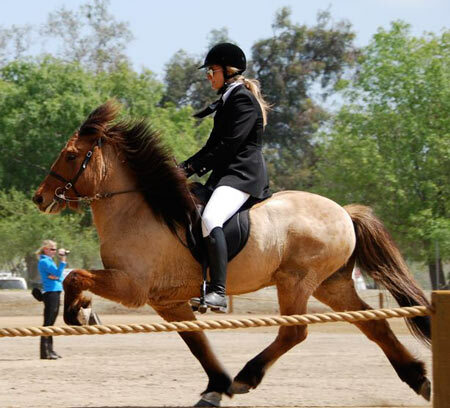 We went to the LA show the second weekend in June for Valhalla's second show at their 250m track. Anne-Marie rode Húni in T2 and Blær in V1. I rode Þór frá Prestsbakka in F1 and T2. Anne-Marie won both her disciplines and I won Five gait and was second in T2 behind Anne-Marie. Johannes Hoyos came and judged. It is always a lot of fun when we all come together and we look forward to the next show! Will and I are going to the first World Ranking competition in the US held at Silver Maple Farm in Vermont in the end of the June where Will is judging. Will is then going to judge at the German Championships in middle of July and then we are off to Switzerland in the end of July so we have will be racking up our travel miles this summer! 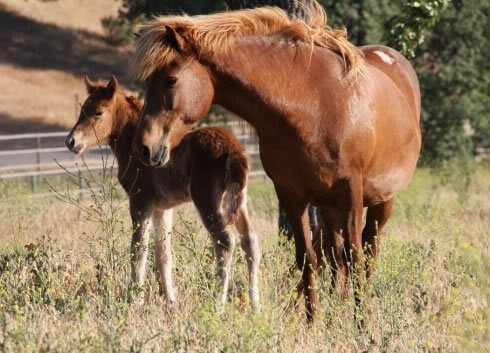 I was moving the young horses around the other day and took my camera with. Here are some of the shots that I captured. The World Championships tryout was held in 4 locations in the US last week. 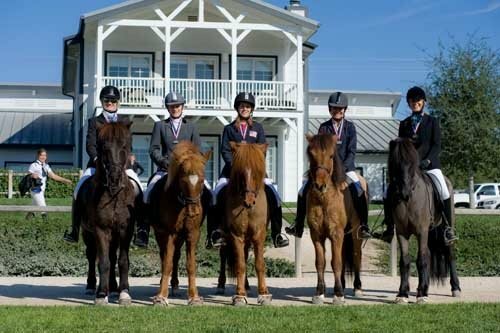 Einar Ragnarsson came and spent a week traveling between locations and judging riders interested in representing the US in Switzerland this August. 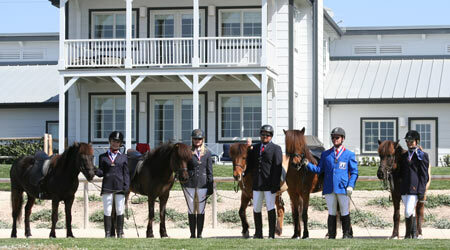 His last stop was here in Santa Ynez and there were 3 of us trying out for the team and 2 riders rode for scores. The 3 of us interested in going placed 1, 2 and 3 and we are so happy with our results and are looking forward traveling to Switzerland this summer with our horses. Sara frá Króki Lucy's mare had a black colt with a blaze today. 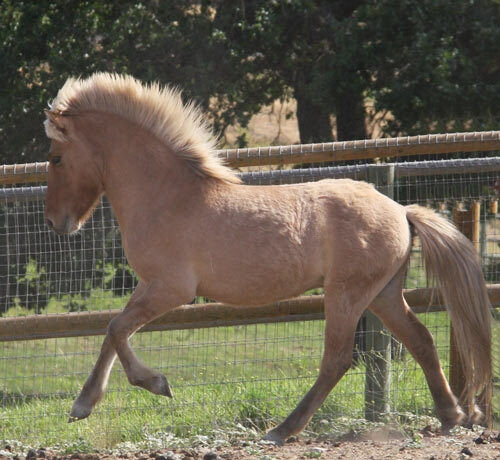 He is a son of our stallion Hrafn frá Garðabæ. 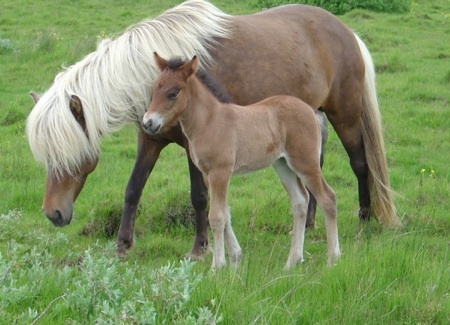 Rák with her daughter only few hourse old. 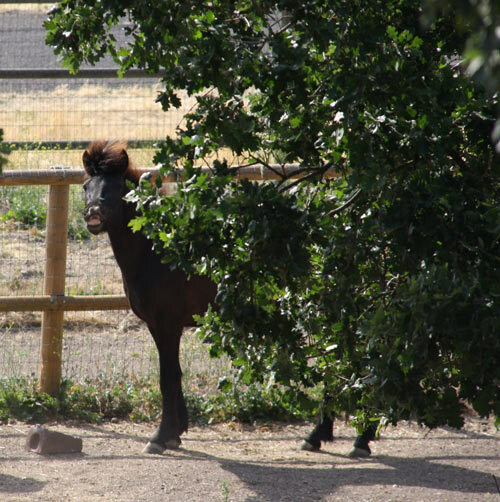 Rák had a filly on Monday. 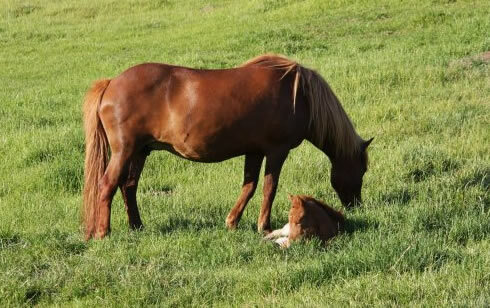 This is her 6th baby. She is chestnut with a star. 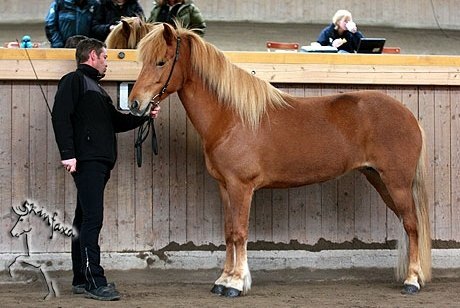 Her sire is Hrafn frá Garðabæ and this is Rák's second Hrafn baby. Last month as been rather busy. 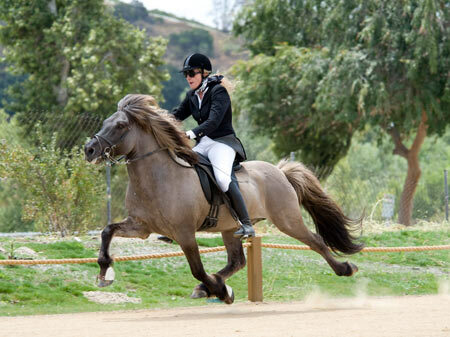 We went to LA for the first show held by the LAIHA at Valhalla's grounds on a new 250m track. We had a great time and we took 3 horses to the show. Anne-Marie rode Sörli for the first time in competition in T1 and V1 and I rode the two Þórs. My Þór aka Tóti in T1 and V1 and Mr. Þór in F1. 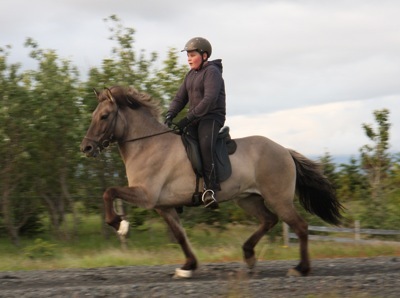 Anne-Marie and I went to Iceland for few days over easter and we visited Olil and Bergur at Efri-Gegnishólar and we saw Villandi frá Feti there and another young stallion they have in training for us. Then last weekend the CIA Open Spring show was held here at Flying C and we had 38 Horse and Rider combinations and about 50 people came for our pre show BBQ. We had a lot of fun and want to thank Stina and Steinar for bringing their horses and people and Gayle and Doug for all their help and all the Kraftur folks for coming to support our show and of course Þorgeir for coming from Holland to be our judge and Els for coming with him. I rode Dynjandi frá Dalvík in T1 and V1, Þór frá Prestsbakka in F1 and Dynur in the pace race. Will rode Þór frá Litlu-Sandvík in T2 and V1 and Þór frá Prestsbakka in the pace race. Anne-Marie rode Húni in T2 and both Blær and Sörli in V1 and Blær in T1. Cait borrowed Kani for the youth classes V6 and T8 and they did so good together at their first show. They won the Tölt and tied for second in Fourgait. 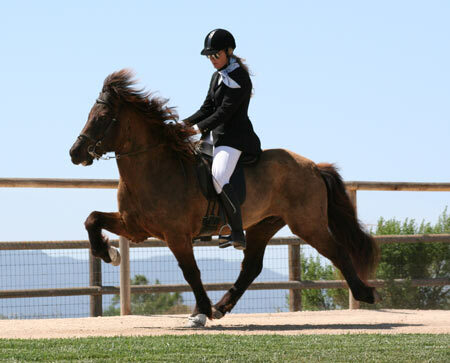 Her sister Lucy borrowed Dreyri for the Open group classes T3 and V2 and they did really well together too. 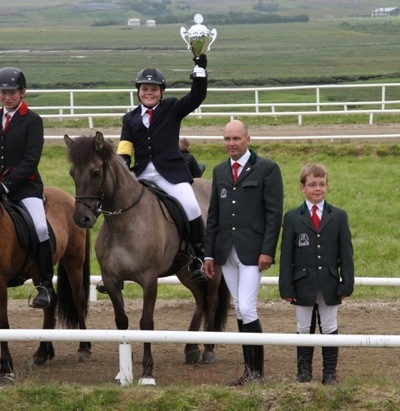 They won fourgait and tied for first in tölt but Berta took the gold since she had the higher score the day before. Will is one of the judges at this years World Championships! · May -- World Championships Tryouts. They will be held in 4 different locatcions in the US. Contact Will Covert at competition@icelandics.org or check out www.icelandics.org/competition/wc_team.php for more info. 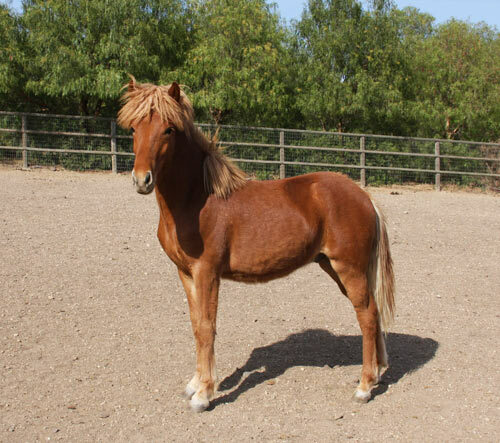 New Sales Horses have been addes to our Sales Horse Pages. Click here to check them out. 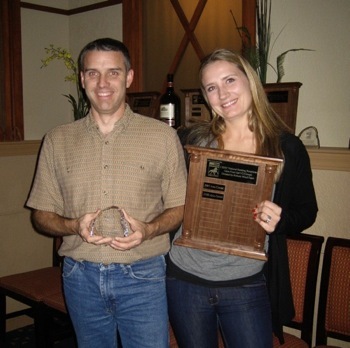 The USIHC Annual Meeting was held in San Jose, CA mid January. Doug and Gayle did a great job organizing the meeting and finding the venue. We had a great time meeting so many members and friends again. At the dinner Will and Doug presented the National Ranking system for Sanctioned Shows and gave out the awards. Anne-Marie won the T2 for the year and I got T1, T3, V1, V2 and F2. Lucy won the Youth Classes T8 and V6. And Doug won V3 the Intermediate Fourgait.